3rd February 2012 – New Dresses! Some of the new Mori Lee Paparazzi dresses arrived in store today! Mystia was featured in the Gloucestershire Citizen today as we celebrate a year in Westgate Street. 24th January 2012 – New Prom Supplier! Mystia is now a stockist for Mori Lee Prom! Mystia now are now a retailer for Precious Formals Prom and Bridal ranges. 29th December 2011 – New 2012 Bridal and Prom Collections! 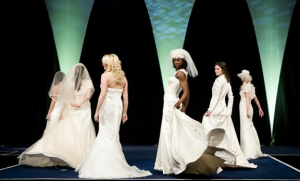 Mystia now supplies Jade Daniels, Callista Bride and Alfred Sung Bridal Gowns. New 2012 Prom Collection now in store! Don’t forget 10% off early bird deal until 31st March 2012. 9th August 2011 – Mystia Prom Queen 2011 Competition! Mystia are pleased to announce Georgia Fuller from Ribston Hall High School as Prom Queen 2011! Mystia now has a lovely private fitting room upstairs for customers coming to try on their dresses and for alteration fittings. Come along to Mystia for fantastic savings on Shoes, Jackets, Veils, Jewellery, Special Occasion and Wedding Dresses. Range of gorgeous colours and styles. Most come with matching jackets and bags!